Also, there are those Presidential relatives who have been controversial by their actions or behavior, adding to the story of American history in a negative fashion. The recent revelations about Donald Trump’s relatives may end up as the most grievous example of damage to a President’s image. John Quincy Adams, son of the second President, John Adams, not only served as 6th President, but also was in the US Senate, an ambassador to five nations, Secretary of State, and long time Congressman from Massachusetts, the latter after his Presidency. J. Q. Adams’s son, Charles Francis Adams, also John Adams’s grandson, served in the US House of Representatives from Massachusetts, and as Minister to the United Kingdom for President Abraham Lincoln during the Civil War. He had also been the Vice Presidential running mate of Martin Van Buren on the Free Soil Party ticket in the Presidential Election of 1848. President William Henry Harrison’s son, John Scott Harrison, served in the House of Representatives from Ohio, and was the father of future President Benjamin Harrison, the only example of a grandson of a President also being President. President Abraham Lincoln’s son, Robert Todd Lincoln, served as Secretary of War under Presidents James A. Garfield and Chester Alan Arthur, and also as Ambassador to the United Kingdom under President Benjamin Harrison. He was also nearby in proximity at the time of the assassinations of his father, Garfield, and President William McKinley. President James A. Garfield’s son, James Rudolph Garfield, served as President Theodore Roosevelt’s Secretary of the Interior, where he advocated for the conservation of natural resources, and supported TR’s bid for a third Presidential term on the Progressive (Bull Moose) Party ticket in 1912. President Theodore Roosevelt’s son-in-law, Nicholas Longworth, served as Speaker of the House of Representatives from Ohio, and was married to TR’s controversial, outspoken daughter, Alice Roosevelt Longworth. Longworth was significant enough as Speaker that one of the House office buildings in Washington, DC is named after him. President William Howard Taft’s son, Robert Taft, had a distinguished career in the US Senate from Ohio as a leading conservative Republican, and Robert Taft’s son, Robert Taft, Jr., also served in the Senate from Ohio as well as in the House of Representatives. President Woodrow Wilson’s son-in-law, William Gibbs McAdoo, served as Secretary of the Treasury under his father-in-law, and was a serious contender for the Democratic Presidential nomination in 1924, as well as serving as a Senator from California later. President Franklin D. Roosevelt had three sons who served in public office. James Roosevelt was a Congressman from California, and Franklin D. Roosevelt, Jr. was a New York Congressman, while Elliott Roosevelt was Mayor of Miami Beach, Florida. President John F. Kennedy had his two brothers in office during his Presidency and after, with Robert Kennedy serving as Attorney General, and later as Senator from New York. In 1968 he ran for President and was assassinated. Edward Kennedy was Senator from Massachusetts for 47 years, and sought the Presidential nomination in 1980. Additionally, brother-in-law Sargent Shriver served the administration as Peace Corps Director, and later was head of the War on Poverty under President Lyndon B. Johnson, and then as Ambassador to France under Johnson and President Richard Nixon. He also was the Vice Presidential running mate of Senator George McGovern in the 1972 Presidential election. President Lyndon B. Johnson’s son-in-law, Chuck Robb, married to LBJ daughter Linda Bird Johnson, served as a Senator from Virginia, after having served that state as Lieutenant Governor and Governor. President George H. W. Bush’s son, George W. Bush, was Texas Governor, and became the second case of a father-son team in the Presidency, while son Jeb Bush was Florida Governor, and sought and failed to win the Presidential nomination of the Republican Party in 2016. President Bill Clinton’s wife, Hillary Rodham Clinton, the First Lady, was also Senator from New York, sought the Presidency in 2008, then served President Barack Obama as Secretary of State in his first term, and then lost the Presidential race of 2016 to Donald Trump. Other Presidential relatives have become controversial by their actions or behavior, and some have been family embarrassments. President Lyndon B. Johnson’s brother, Sam Houston Johnson, was an alcoholic, who often made embarrassing public statements about his brother. President Jimmy Carter’s brother, Billy, was also an alcoholic and caused controversy when he went to Libya at the invitation of its dictator, Muammar Gaddafi, a total of three times, and registered as a foreign agent, causing grief for his brother and a Senate investigation. President George H. W. Bush’s son, Neil Bush, also the brother of later President George W. Bush, was engaged in controversy over his involvement in the Silverado Savings and Loan Scandal in Colorado, as well as other business arrangements perceived as shady. He also invested in educational software utilized by his brother Jeb Bush for improving educational standards in Florida, and also for the No Child Left Behind initiative of President George W. Bush. President Bill Clinton’s half brother, Roger Clinton, was pardoned by his brother at the end of the Clinton Presidency for his conviction for cocaine possession and drug trafficking more than a decade earlier. He had served time in federal prison on these charges, and has also had DUI and reckless driving incidents, and clearly had an alcohol problem that embarrassed his brother. Also, Clinton brothers-in-law Hugh Rodham and Tony Rodham, brothers of Hillary Clinton, have been involved over the years in various business schemes and other dealings that have been perceived as controversial and shady. 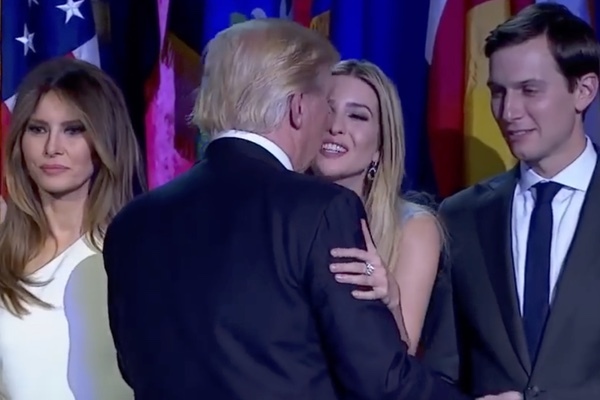 And now, in the midst of the Robert Mueller investigation of Donald Trump and the Presidential Election of 2016, there is growing evidence of possible illegal actions by Trump’s older son, Donald Trump, Jr., his daughter, Ivanka Trump, and his son-in-law Jared Kushner, which could lead to possible criminal indictment against all three relatives of the Trump family. If this occurs, it will make the Trump relatives the most disastrous case of corruption of any Presidential family in all of American history.